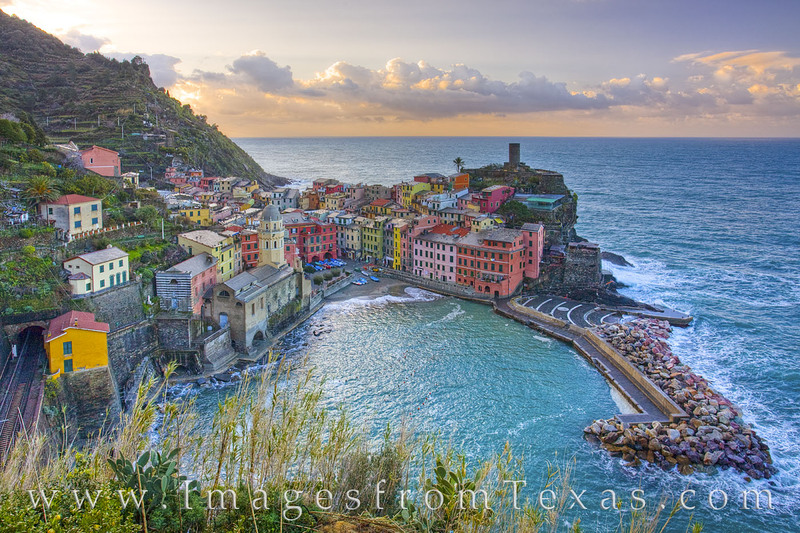 The beautiful pastel colors of Vernazza, Italy, come to life in the soft light of morning. Seen here from high above a cliff, this popular area sits along the coast agains the blue Ligurian Sea. In the spring, this is a sleepy, wonderful fishing village. In the summer, it is overrun with tourists. The views are spectacular, the food delicious, and the wine offers a great way to end a day of hiking and exploring.